It was October 2013 during one of the Champions League games in Delhi. My mornings would start with a gym workout, a routine I had been following for 24 years. But that morning in October, something had changed. I realized that I had to force myself to wake up and go about my day. I knew that the gym training was a critical part of my cricket – something that had been my life for 24 years. Yet, there was reluctance. Why? Were these signs...signs that I should stop? Signs that the game that has been so dear to me, would no longer be a part of my daily routine? Sunil Gavaskar, one of my heroes and a former cricketer, once said that he made up his mind to quit the game when he found himself checking the clock, to see how much time there was left for the lunch and tea intervals. Suddenly I knew exactly what he meant. My mind and my body were telling me the same thing. Maybe, it’s time to hang up my boots. I also remembered the words of Billy Jean King, at Wimbledon a few years ago - you will know for sure when to go, it will come from inside you, don’t let the world decide when you have to retire. But what will a sportsman do if he’s not a sportsman anymore? How do you prepare for a day when something that consumed each day of the 24 years of your life, isn’t the focus anymore? The energizing chant of “Sachin, Sachin” that the crowds cheered each time I walked onto the field, was an indescribable feeling and rush. This probably won’t be heard anymore. Was I ready for that? These thoughts and a discussion with my family and closest friends helped make up my mind. My innings was indeed coming to an end. The years flashed before my eyes. The victories, the losses, the celebrations, the challenges and the silences…the journey. India’s win at the World Cup in 2011 was a dream come true as was the team’s generous gesture of dedicating the cup to me. But, that chapter of my life was ending. What now, I wondered. So what has changed? The biggest change is that I have the freedom to choose what I want to do. In my playing days it was always the game of cricket that came first. But that isn’t the case anymore. My first innings was about chasing my dreams, the second one is about satisfaction. I want to give back to the game, that has made me what I am, to society and to the less fortunate. The scope has changed but the objective and drive of doing my best, remains. I’m still learning, still discovering new things, meeting new people, and contributing in my own way, to make things better. One of the highlights of my post-cricket years has been the adoption of Puttamraju Kandriga, a village in Andhra Pradesh. Seeing the village don a new look after two years of intensive infrastructural development, had a joy that can’t be put into words. A project called ‘Spreading Happiness’, that I am involved in, provides electricity to deprived areas. Arrangements to tap solar energy have been made in over 73 villages and nearly 25,000 people have been impacted by the same. The mission to ‘light up’ homes across the length and breadth of the country will continue. Joining hands with Shri Narendra Modi, our honorable Prime Minister, for the ‘Swacch Bharat’ (Clean India) campaign was another step in this direction. It was also in tune with my role as the UNICEF Ambassador for Hygiene and Sanitation. The campaign’s success makes me confident that India will adopt the cause and adapt to it as well. Having played sports all my life, there was no way I could stay away from it. The first avatar of ‘Cricket All Stars’ in the USA, was an attempt to give back to the game and engage with fans who had supported us all the years. 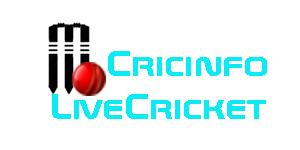 This also gave the chance to all fans who had not got the opportunity to witness these great players, the retired superstars of cricket, in action – live! Taking cricket to new geographies and seeing it get accepted and loved is inspirational to say the least. These days, I’m thinking beyond cricket. ‘Kerala Blasters’, the football team I co-own in the Indian Super League has given me many proud moments. The sea of yellow jerseys filling up the stadium, the deafening sound of around 60,000 fans cheering for KBFC is an overwhelming feeling in itself. 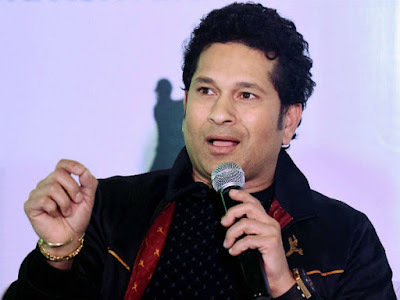 In October 2016, SRT Sports Management Company was launched, a firm that will seek to achieve new ground in the field of sports management in India and beyond. Lastly, but probably the most important, are the changes in my personal life. I now have more time to give to my family, to travel, to pursue my passions and to focus on things that are close to my heart, ones that I can now explore. The love and affection from fans has remained unchanged, the chants still resonate and appear wherever I travel, which is amazing and something for which I am eternally grateful.